Smartwatch that tracks activities and provides notifications. 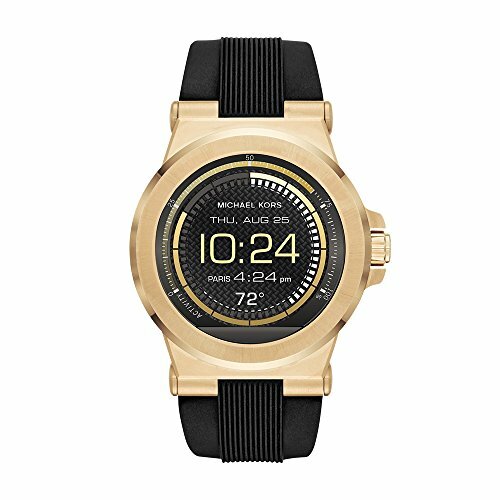 Technology meets style with our Michael Kors Access Collection. Fully personalize your watch by selecting or customizing the watch face of your choice and changing out the straps to match your activity or look. Technology meets jet-set style. With countless options, your watch face and strap adapt to any and all occasions on your calendar. Powered by Android Wear. Compatible with iPhone and Android devices.Stay connected with display notifications including texts, calls, emails, and keep track of your fitness goals by tracking your sleep, steps, and calories.